I remember reading the book of this movie when I was really young. It was one I read so much, it was falling apart the last time I saw it. So when, of course, I realised there was a film that came first… I had to have it. And I’ve just now rewatched it. 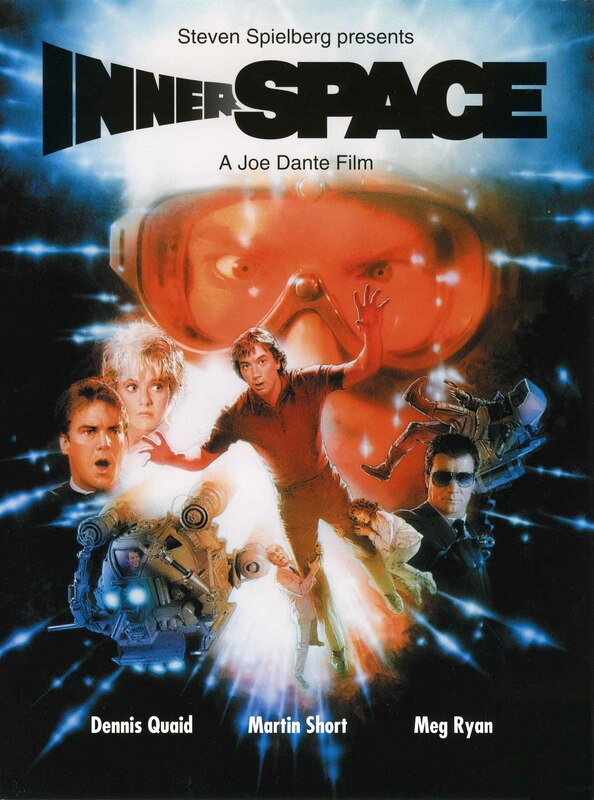 Innerspace was a movie I really liked. I loved Jack and Tuck. Not only on their own, but also interacting with each other. Although this film is quite amusing in parts, I felt like the friendship that formed between Tuck and Jack was real. I did feel quite sorry for Jack at the start of the movie. He seemed to be one of the nice guys who never catches a break. It was good that he grew up as the movie went on… though I didn’t like him making the moves on Lydia. I also liked Tuck’s character. I’ve seen Dennis Quaid in quite a few things and I think he’s a really good actor. His portrayal of Tuck came across really well. It was interesting to see the technology used in this movie and to see inside Jack’s body from Tuck’s perspective. The movie kind of operates on two types of danger, since there’s the danger that’s outside in Margaret and her cohorts who want to steal the technology. There’s also the danger from within, where Tuck faces the possibility of running out of oxygen. I thought Lydia was quite a strong character and it was good to see she didn’t take any nonsense. There’s some violence in this movie, a little more expected than for a PG film, but there are some good amusing moments as well. I felt this film took the time to develop the characters as well as the plot. At some point, though, I’ll dig out my book version… since there were some good extra scenes in that. But if you like science fiction movies without aliens or anything too heavy… I’d suggest this as one to watch.